The newest release of the VLC media player is ready. From the version 2.0.1’s announcement it becomes clear that “This release brings a lot of bugfixes (over 110) and more stability of the young Twoflower. This is also a security update for SA1201 and SA1202“. Since there are no source tarballs available for download yet, I created those from the “2.0.1” tag in the VLC repository and built my packages using those sources. When the official tarball becomes available, I will add that to my repository instead of the git checkout (the official source tarball will be smaller because it does not have all the git commit history). All the internal libraries which I use for creating this VLC media playet package (ffmpeg, x264, libvpx, lame, etc…) were kept unchanged. The new VLC code (and the two securiry fixes) is what matters. There is one thing I did fix however. Thanks to an attentive Slackware user I fixed the missing support for the Open Sound System (OSS) Apparently my VLC 2.0.0 package (as opposed to the previous 1.1,x versions) was unable to use OSS for its sound output. It turns out that I had to enable support for OSS explicitly in the code. I verified that OSS is again available in the sound preferences of the player. Posted: 17 March, 2012 in Slackware, Software. 2.0.1 included a fix for my volume control issue. Is something wrong, I received following output. Executing install script for vlc-2.0.1-x86_64-1alien.txz. The error itself is harmless, you can ignore it. But it would be good to run “removepkg gxine” now. Hi, Eric. I’ve compiled vlc 2.0.1 (restricted) using your slackbuild, but unfortunately resulting package has no binaries at all (not even /bin folder). The same was with 2.0.0. However, vlc 1.1.13 went fine. I run slackware-current. Any ideas? Use my pre-compiled packages if you are unable to interpret the build log. Hi, Eric. 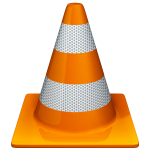 Do you have any plans to build Phonon VLC backend for this VLC release? The old Phonon VLC backend won’t work with VLC 2.0.1. I’ve managed to compile vlc finally. There was a bug in it, described here https://bugs.gentoo.org/show_bug.cgi?id=407593, but recently has been fixed. The compilation with the latest git source was successful! Hi Eric, I can’t play .asf video, may be i haven’t install the decoder? but how to install it? Yes, mine can play your sample ASF too but just can’t play my files. anyway thanks. Where can I download these source via rsync? You will not find vlc 2.0.1 sources anymore because today I upgraded my package to 2.0.2!